Yesterday I recapped my One Word for 2014. Click HERE to see how I did with my focus for the year. I normally begin thinking of my new focus word sometime in November. This year my word came to me very quickly. I sat on it for awhile to make sure this is what God was showing me. This word is two fold for me. 1) I love drinking water. I feel better when I drink water. And I know water is good for me. I typically drink between 60-80 ounces of water a day. But I also struggle with drinking water sometimes. Sometimes water just gets plain ol' boring. I've done fruit water and really like that. But when I am bored with water, I turn to soda. Last summer I went cold turkey and quit drinking soda. I went an entire 2 months without a drop. It felt good. But then I got bored and thought I'd have just 1 glass of soda. I was hooked all over again and had a hard time going back to water. I have this super cute 24 ounce Tervis Tumbler that I use for water. I don't allow myself to put anything but water in it and I take it everywhere with me. It really does help me stay motivated to drink water. I also downloaded this app called Waterlogged. Waterlogged helps me to track how many glasses of water I've had so that I don't lose track and shy myself. It also sends notifications to me reminding me to drink water. 2) I love reading the Bible and soaking in the Living Water. I used to do my devotions in the morning, then I would read a very short devotional and Scripture before bed. But recently I have only been doing morning devotions. I want to get back to reading before bed, and even throughout the day. I pulled out my short one year devotional, The Duck Commander Devotional for women. I laid it next to my bed for a nightly devotion. 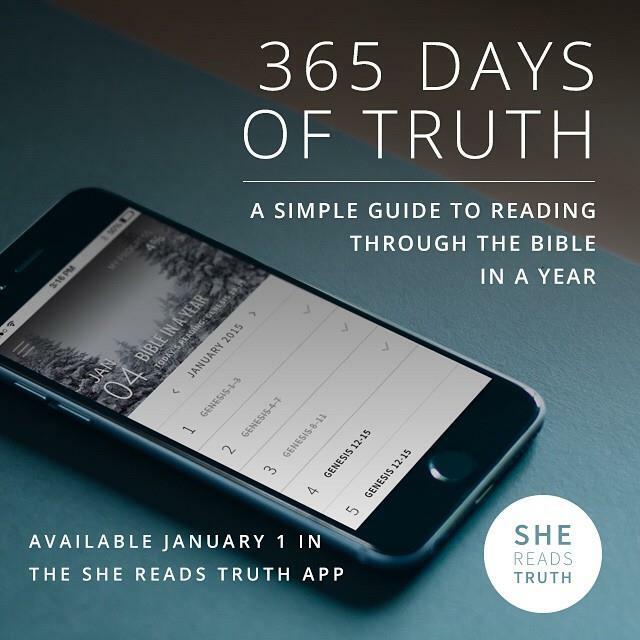 I also downloaded the She Reads Truth app which offers great Bible reading plans. This is something I can pull up throughout the day, like while I am waiting on the kids, in line at the store, sitting at basketball practice, or waiting room at the doctor's office. The Living Water is available to us. I want to drink of it continually, not just in the morning. I want to soak in the Living Water until I am full and running over. them a spring of water welling up to eternal life. We are on day 8 of the new year and so far I am doing well with this focus word. I've drank at least 80ozs of water each day, I've had my morning quiet time, read the Bible in the afternoon, and read my devotional and Scriptures before bed. I've even gotten back to journaling, something I haven't done in a few months. 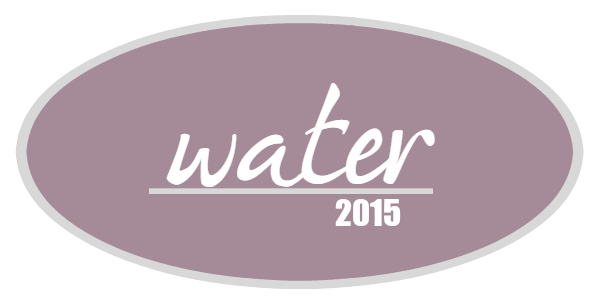 I am so excited to begin my journey through water this year. I will try to post monthly letting you know how I am doing. What is your One Word or New Year's Resolution this year? I'd love to hear! *Thank you to my sweet friend Traci from TraciMichele.com for making my One Word button! Traci is a wonderful blog designer and inspiring blogger. Please check her out! 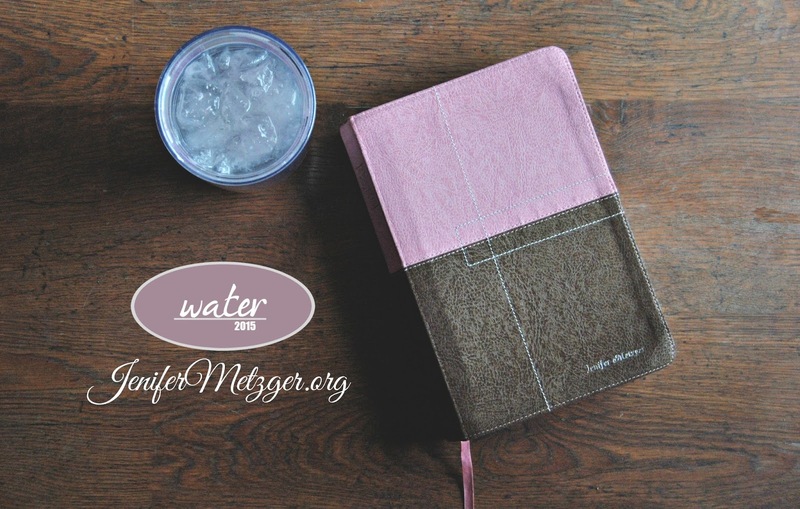 I love this Jenifer, "water in the word".God Bless. I am also committed to drinking the living water. God Bless.